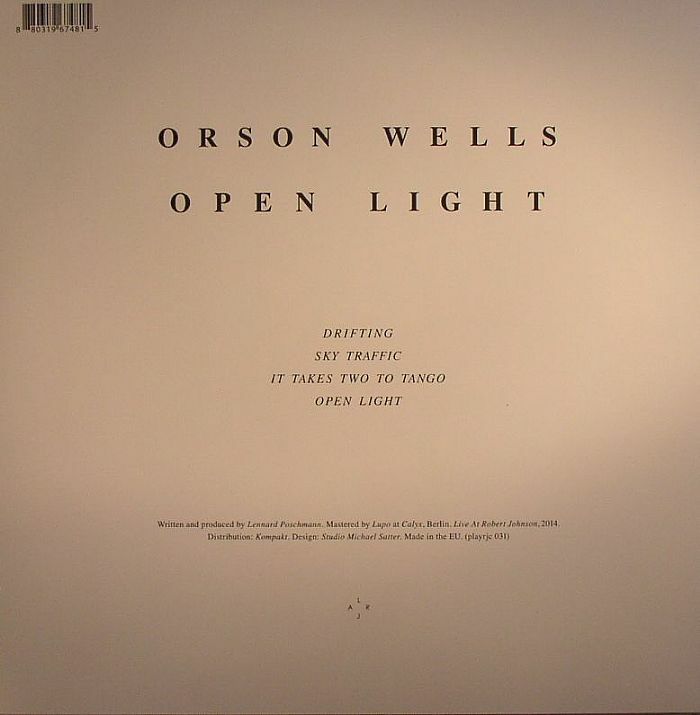 Orson WELLS Open Light vinyl at Juno Records. 1. "It Takes Two To Tango"
Having recently impressed with the humid, tropical techno of "Endless" on Dixon's Innervisions imprint, German producer Orson Wells returns to the familiar surroundings of Live at Robert Johnson for a much more breezy, sun-kissed extended player. There's something a little new age about the glacial melodies, sparse analogue percussion and bubbling, appregiated synths of midtempo opener "Drifting". With its' long, dreamy pads and cascading melodies, "Sky Traffic" is notably deeper, whilst retaining the producer's usual playfulness and attention to detail. 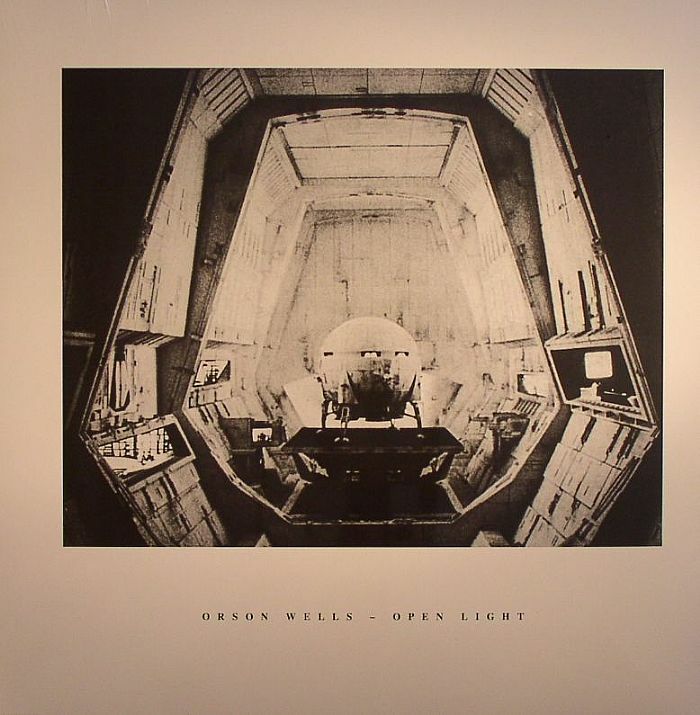 "Open Light" sounds like an instrumental Junior Boys track written to soundtrack a long Mediterranean sunset, while "It Takes Two To Tango" shuffles further towards the dancefloor with a little help from acid house bass and fizzing drum machine hits.